Grab a dumbbell in each hand. Your hands should be relaxed with a slight bend at the elbows. Back is straight. This will be your starting position. 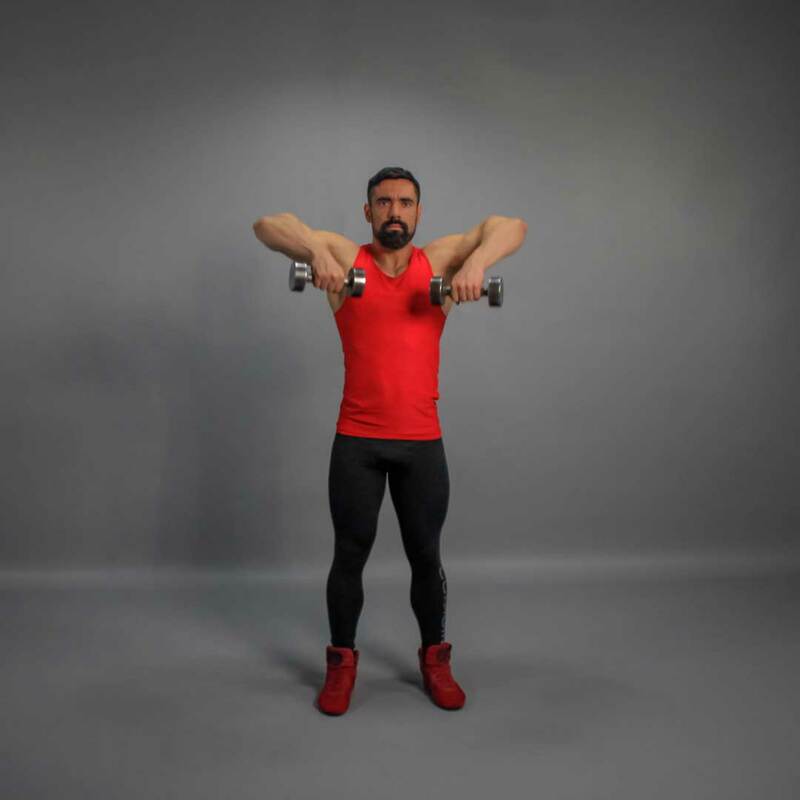 Use your shoulders to lift the dumbbells at chest level as you exhale. Make sure that your elbows drive the motion. Inhaling, lower the dumbbells down to the starting position. Precautions: Be very careful with how much weight you use, as long as incorrect performance leads to asymmetrical muscles growth. Moreover, there is a possibility to injury the shoulder joint. Try to perform this exercise without jerks and abrupt movements.